And you thought a concept album about a deaf, dumb, and blind pinball player was silly. Well, get this: a pop-rock opera about the elephant that was publicly electrocuted by Thomas Edison's Edison Manufacturing Company in 1903, in part to demonstrate the dangers of alternating current. Finally, you say, a piece of art that can bridge your love of power pop, large mammals, and the advent of electricity? Indeed. 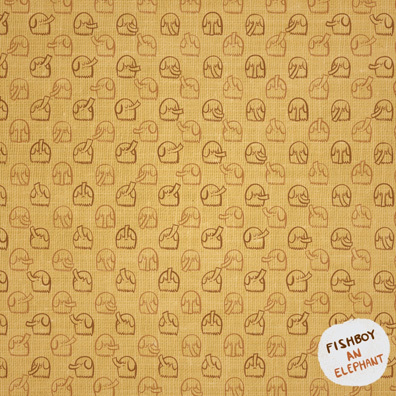 Fishboy, the brainchild of Texas native Eric Michener, has been creating conceptual albums since its inception almost 15 years ago, but An Elephant might be its best. Musically speaking, the album is as good as power pop gets, from the trio of up-tempo ragers that begin Michener's tale through the falsetto-laden "Dig a Grave" and the march-like "Bury My Body." The narrative is as follows: the elephant (Topsy was his name in real life) is electrocuted, plans Edison's demise, and attempts to stalk him from the afterlife. The elephant reminisces, meets a Jesus figure, gains perspective, and ultimately receives his proper final resting place, leaving the listener with some sage advice at the end.